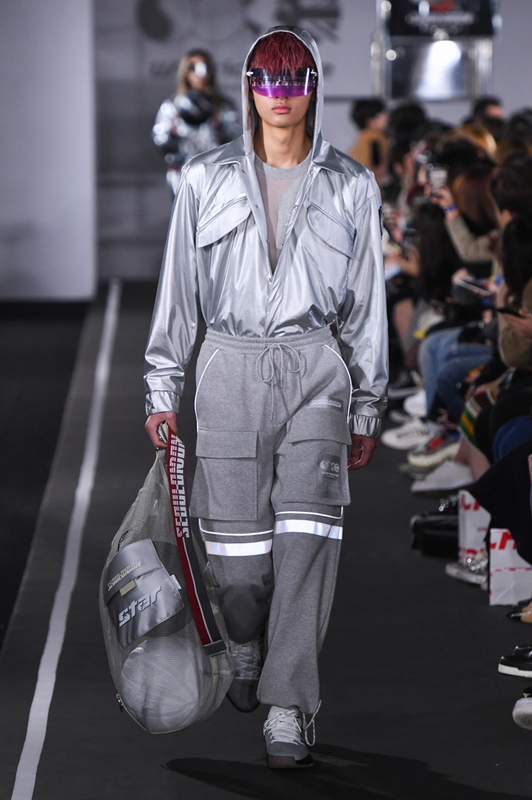 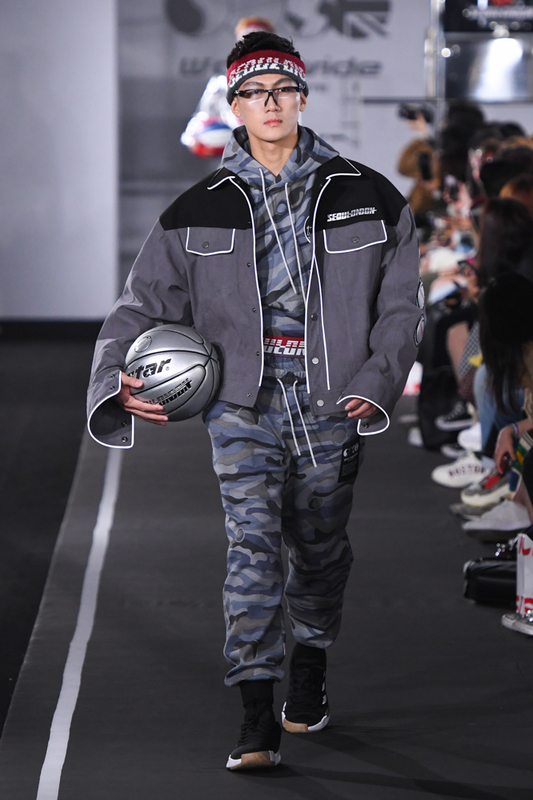 Menswear label D-ANTIDOTE presented their AW19 collection ‘Space Jam’ at Seoul Fashion week. 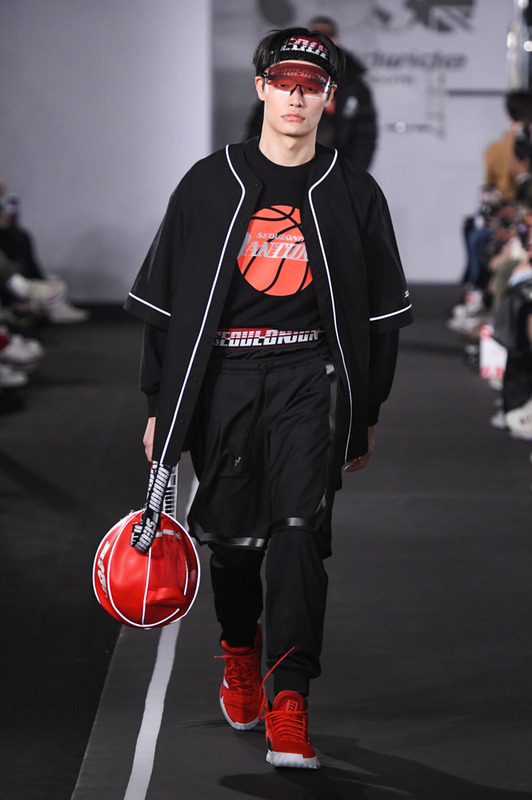 As the name suggests, this season’s concept was inspired by the movie Space Jam and street basketball. 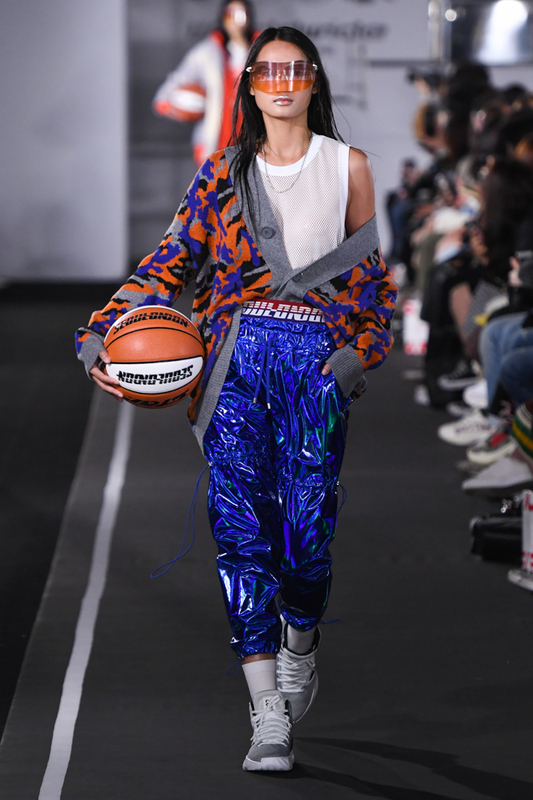 The collection goes beyond past, present and future, by mixing basketball fashion and street style of late 90’s derived from NBA and the movie ‘slam dunk’. 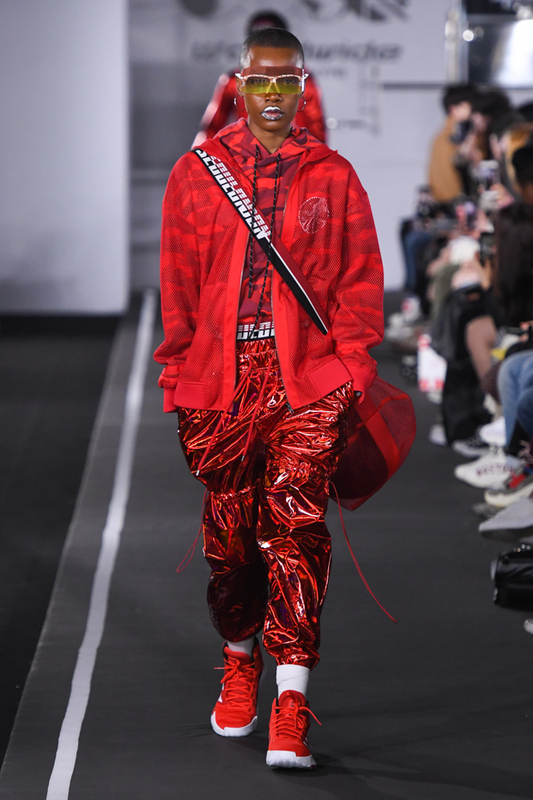 D-ANTIDOTE is known to be menswear based, but as always the designs are true to the label’s gender fluid style crossing over between menswear and womenswear. 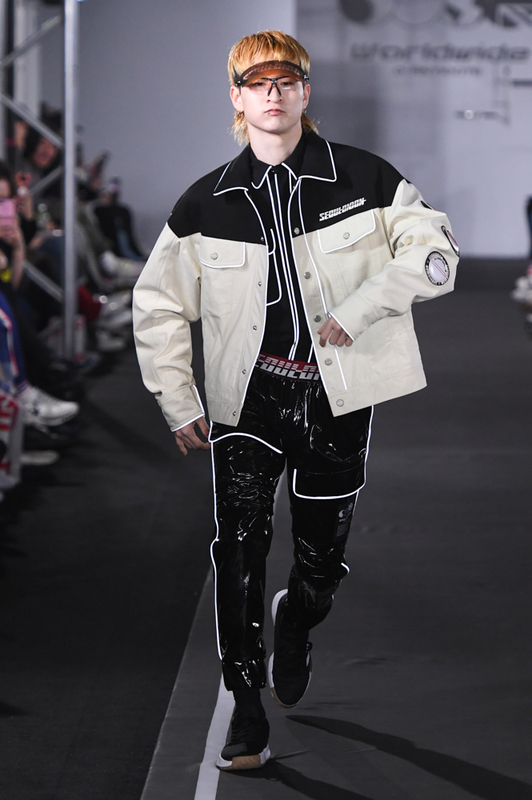 Designer Hwansung Park, a Central Saint Martins graduate, creates a connection between London and Seoul and his designs reflect the connective vision between the cities. 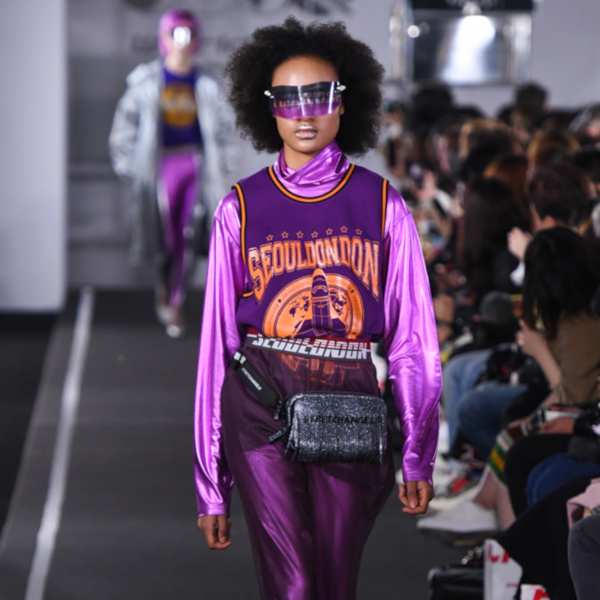 ‘SEOULONDON’ is a repeating slogan visible in his designs.  Just like the lable’s name. 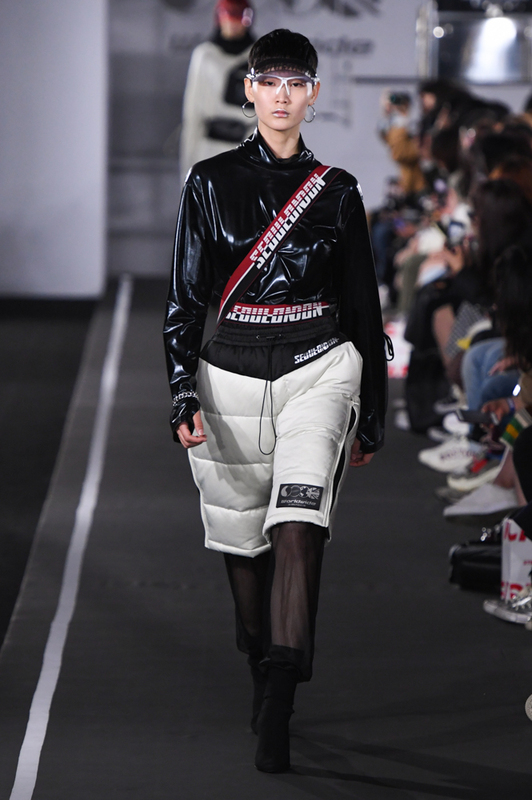 The collection divides between two sides – luxury and fast fashion. 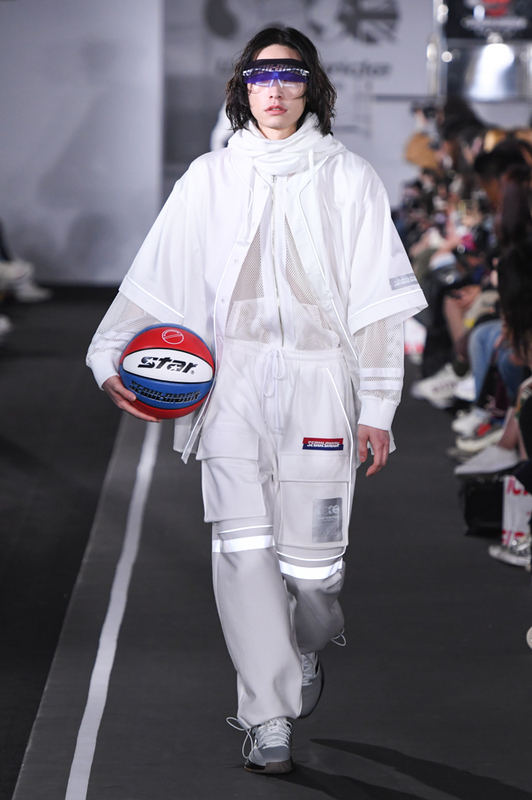 An edgy, sporty streetwear with luxuries materials mixing futuristic kitsch motifs from ‘space jam’. 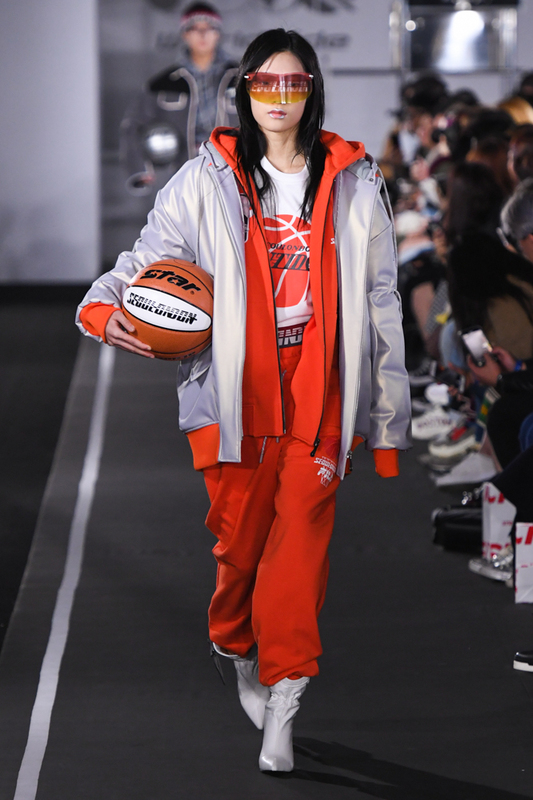 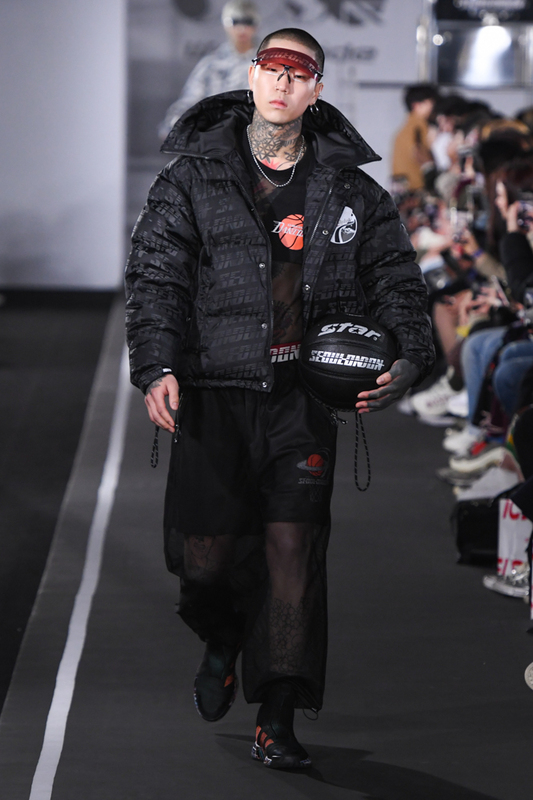 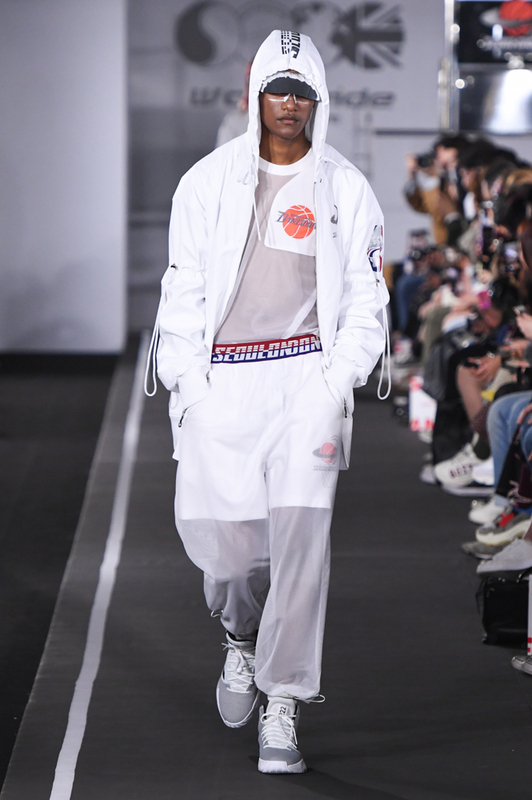 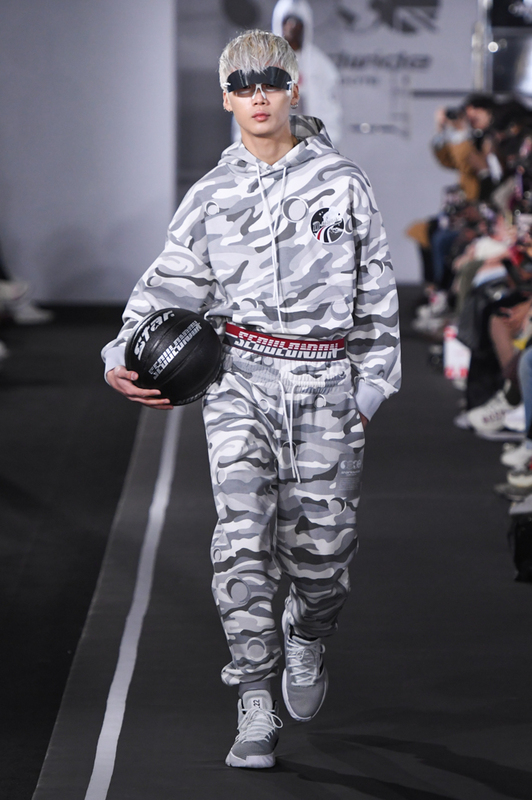 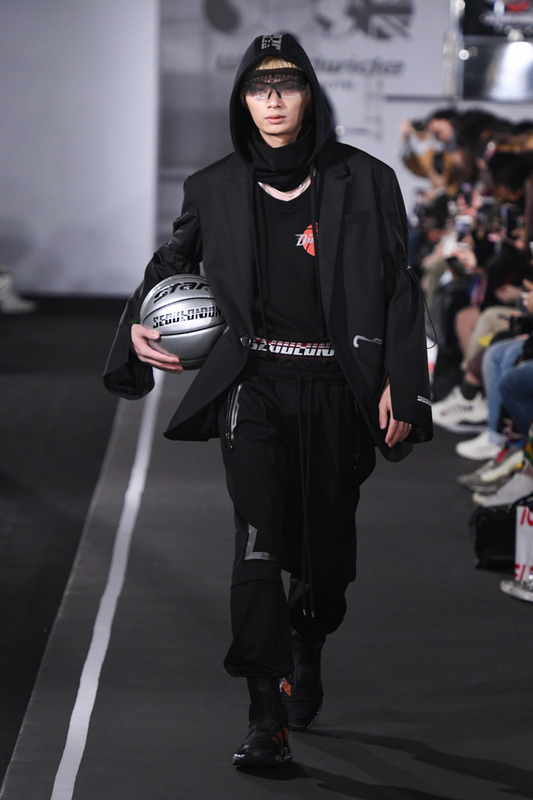 Models walk down the runway in glamorous jumpsuits, layered hoodies and tech jackets, some holding basketballs by basketball brand STAR wearing chic face sunglasses in collaboration with S-VIEW. 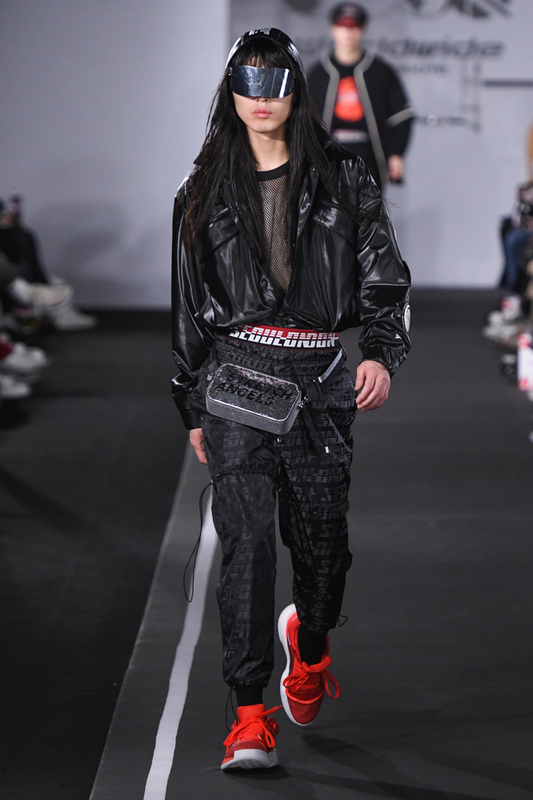 The signature D-ANTIDOTE logo bags were joined by STRETCH ANGELS crossbody bags. 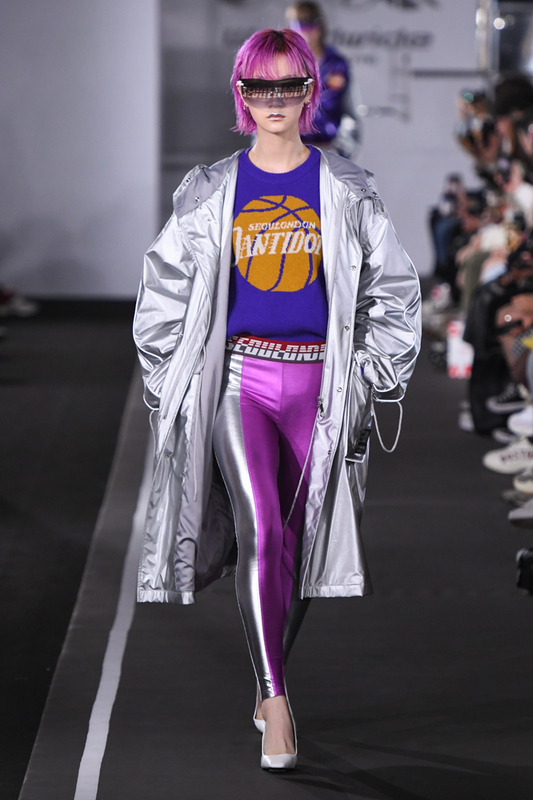 Another collaboration this season and a beautiful addition to this luxurious contemporary collection with a futuristic twist. 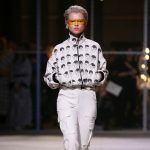 Chic face sunglasses in collaboration with S-VIEW. 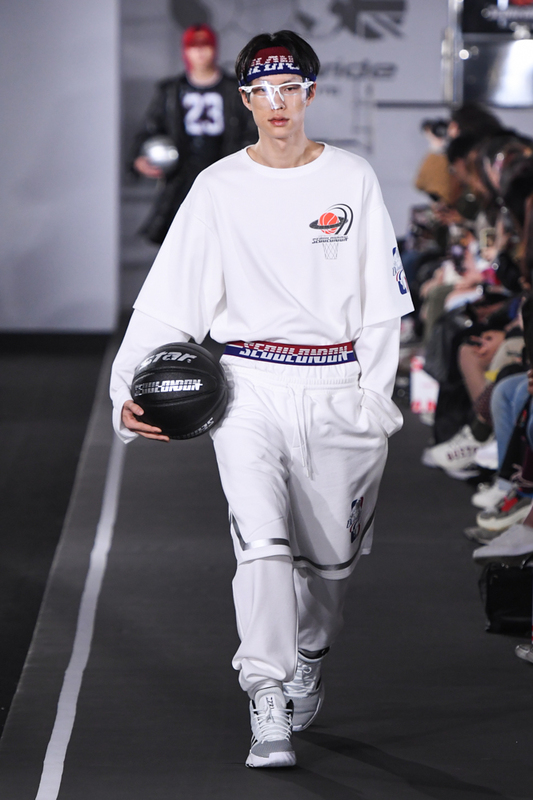 D-ANTIDOTE AW19. 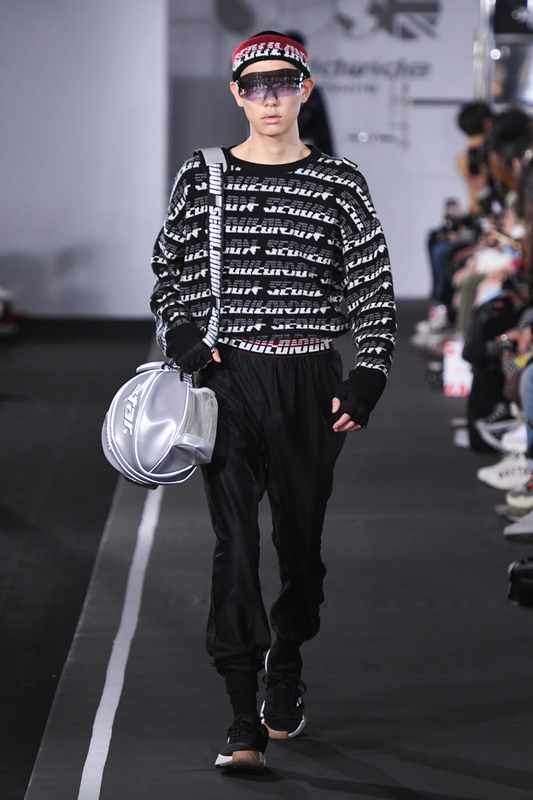 STRETCH ANGELS crossbody bags. 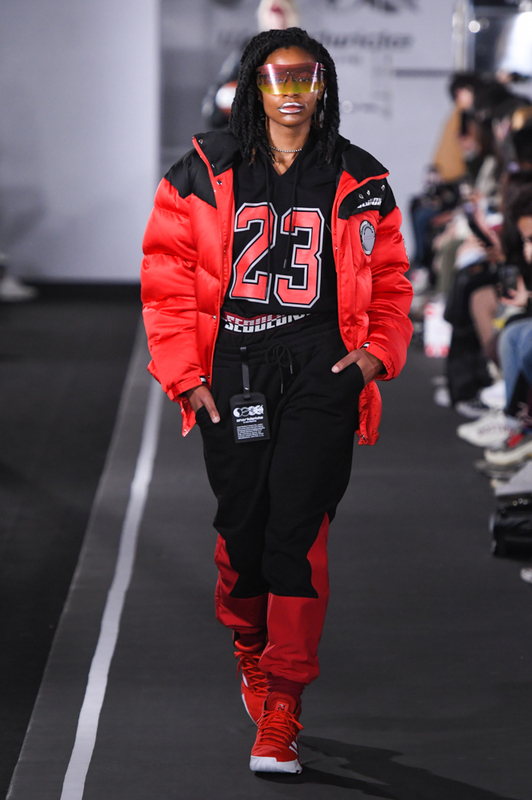 D-ANTIDOTE AW19.